The perfect combination of green and yellow color, it is made in pure cotton material. The warp is in cotton and weft is in also cotton. It is a highly durable cotton flat-woven dhurrie and suitable for a high and low traffic area as well. Enhance the beauty of your floor by placing this gorgeous handmade cotton dhurrie. It is woven on a flat handloom in a flat-woven technique. It has taken about 45 days to weave. 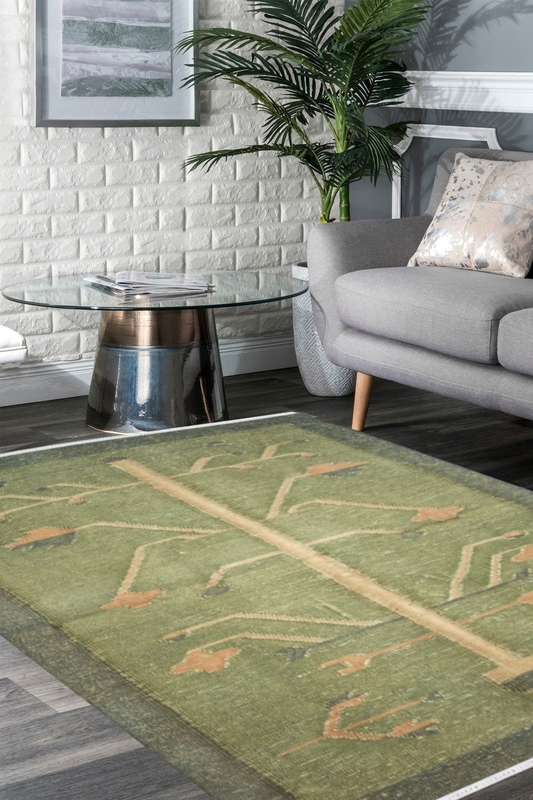 Tree of Life hand-woven woollen dhurrie contains a contemporary design which is well suited for a modern décor. The ground of this carpet is in green color and contains tree type pattern. It is a highly durable handmade dhurrie and you can wash it at your home. You can use this dhurrie on a low traffic area and high traffic area as well.